The article deals with a unique document from the early Carolingian period, a letter from Pope Paul I sent to King Pippin III. An appendix contains a list of books with some Greek works. 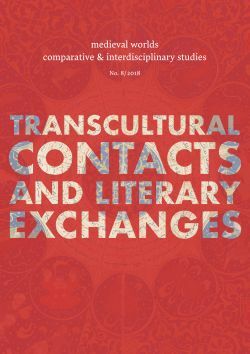 In this paper the text is critically re-examined from the perspective of the Greek manuscript culture and the intention of this »cultural supplement« to the Frankish court. The text attracted great interest from researchers because the book list also includes works by Aristotle and Ps.Dionysius Areopagite. In recent academic discussions the list was interpreted on the basis of the edition in the Monumenta Germaniae Historica, which claims to be the first real critical edition of the original text in the codex unicus, housed at the Austrian National Library. Some scholars became the victims of earlier editions, which present the text as it was amended in the manuscript itself by the late humanist scholar Sebastian Tengnagel (1563-1636). However, the MGH edition also edits the list as interpreted by the editor (thus presenting an unknown geometry by Dionysius Areopagite), not as the manuscript transmits the text. The grouping of the items in the list is fundamental for interpreting the purpose for which these books were delivered. Hence, this paper goes back to the roots and starts from the manuscript and its punctuation. From a linguistic approach, the Areopagite question appears in a new light, and an Areopagite manuscript, sent to the Franks in around 758 AD – about 70 years before the famous Greek manuscript was handed over by envoys from the Byzantine Emperor – , seems to be responsible for the mistake in the textual transmission. The paper also takes up the question of the quantity of books: in research to date the list was regarded as a small library, but the Greek books listed are rather a comprehensive codex. Finally, the character of the books as analysed here clearly links to a basic introduction to Greek and provokes the question of whether further witnesses of Greek knowledge in the early Carolingian period exist.